So last week, I was minding my own business on the shoulder press machine when a friend of mine came up and asked if I had ever done slow sets. I wasn't exactly sure what he was referring to, so I went with the "show me" route. Turns out, slow sets are exactly what I had thought them to be: really...slow...repetitions of your favorite exercises. Now, this might sound crazy, given that I'm always telling you to watch the pace at which you heave-ho your weights, but contrary to moving fast—moving at a snail's pace through your repetitions can actually produce some strength gains. Provided you've built this technique into your workout appropriately. 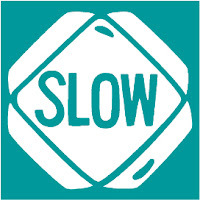 Let's properly define a slow set: Completing a desired number of repetitions at a much slower pace (five counts up...five counts down) than normal, with a slightly lighter weight, and moving said weight without any type of momentum or "heaving" when at the resting point. So, for a shoulder press on a machine (as I was doing at the time), you'd press up for a count of five. This means your arms would be fully extended by the time you reached five. Use the one/one-thousand method if it feels too fast, and do the same on the way down. But as you press back up again, make it a smooth press. Use your shoulder muscles, and don't put any of that heave-ho into it as you start your next repetition. After this slow set, you can then complete a normal set at your normal pace with your normal weight. You might discover it feels easier. 1) This technique can be applied to almost any type of strength exercise that requires movement, whether or not you're moving your body, free weights, a cable machine...it's probably possible. 2) Don't build an entire workout based on this method. You'll fatigue really, really very quickly which isn't a good thing. Slow sets are best used in combination with other types of strength training exercises. Example: If you're doing a total body workout, maybe you'd turn your regular biceps and triceps exercises into slow sets. If you're working one muscle group in a workout, or two opposing muscle groups in a workout, choose the exercise for each muscle group that you find to be the easiest and turn them into slow sets. 3) Always, always pick an appropriate weight. If you do slow sets with a weight that's too heavy, you might find yourself stuck and unable to move said weight without the help of a spotter. This, of course, can lead to injury. 4) Stretch when you're done. Whenever you fatigue your muscles, you must absolutely stretch them out. Tight muscles don't do you any good whatsoever, no matter how strong they are. Question: How do you break through plateaus at the gym? Do you change up your routine, or simply add more weight? Take a few days off? What's your secret?